Our doctors can create beautiful porcelain crowns that are durable and look natural. 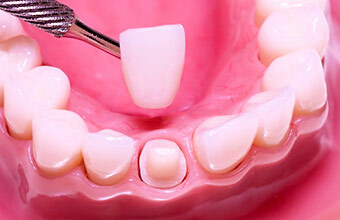 A crown is a tooth-shaped restoration that is used to cap a tooth or is placed on top of a dental implant. Crowns are used for restoring broken-down teeth or for replacing missing teeth. Our doctors have many years of experience with crowns and have placed thousands of them. Their advanced training in cosmetic dentistry has equipped them with the technical skills needed to produce aesthetic, natural-looking restorations. Our crowns are made of durable porcelain, and we partner with an excellent local lab that provides custom shading for the best possible results. Our doctors use high-quality, metal-free porcelain materials for crowns. During your consultation, the doctor will determine which material would be best for your situation. All-porcelain e.Max® crowns have a tooth-like translucence, which makes them appear very lifelike. They are also very strong and long-lasting. We also offer extra-durable crowns made of porcelain fused to zirconia. These are more suitable for back teeth and for patients who grind or clench their teeth. 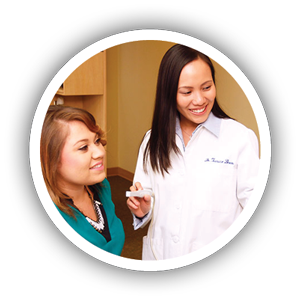 For manufacturing the crowns, we use a local San Diego-based lab that the doctors have been working with for a long time. The lab technicians are very knowledgeable, do great work and offer the highest-quality materials. An important advantage of working with a local lab is that, if necessary, patients can go to the lab for custom shading to ensure that their final restoration looks natural and matches their natural teeth perfectly. 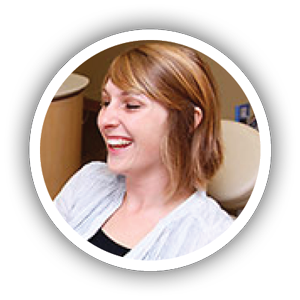 The crowns procedure usually requires two visits after your initial consultation. In the first visit, the doctor will prepare your teeth for the crown and place a temporary crown. Within two weeks, your final crown will return from the lab, and you will come in to have it placed. The doctor will cement the crown over the prepared tooth or dental implant and take an X-ray to ensure that your new crown fits properly in its place. 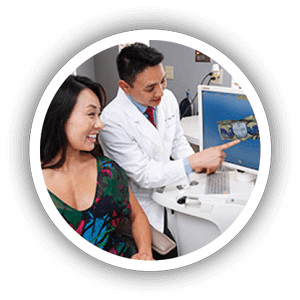 At our Poway location, we offer one-visit crowns using the CEREC® system. 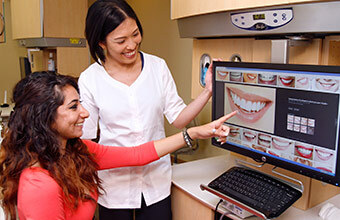 CEREC is an acronym for CERamic REConstruction. Using CAD/CAM (computer-aided design/manufacturing) technology, the doctor can create custom porcelain crowns right in our office. No temporaries or follow-up visits are required. 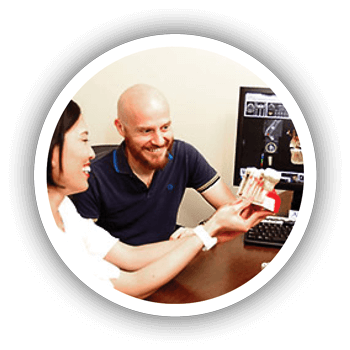 Find out more about our CEREC One-Visit Crowns. To restore and protect a damaged or decayed tooth. To top a dental implant to replace a single tooth. To protect the dead tooth from fracture after a root canal has been performed. To correct your bite alignment.